As a teacher, you’re on a mission to develop your students’ academic potentials. Accomplishing this can be difficult in today’s world full of distractions. While technology can be one of the biggest distractions, it can simultaneously be one of the more impactful means of connecting with your students. The creators of Go Pollock are on a mission to build technology that is truly impactful in the classroom by creating new ways for teachers to engage with the student. 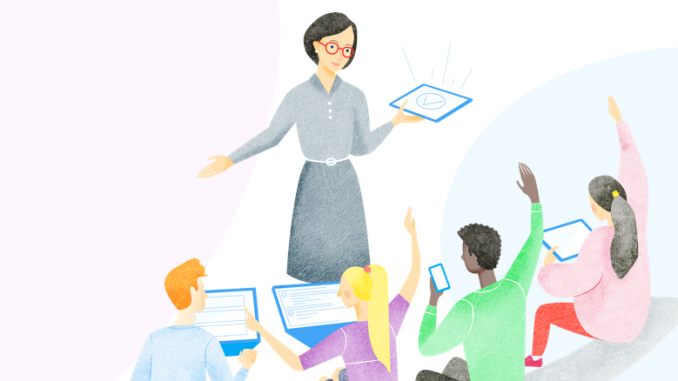 Understanding that educators are inherently creative, the web-based platform was created to adapt to your teaching method in order to best complement it and engage with your students. Go Pollock is a teacher’s digital companion to traditional teaching methods, meant to be deeply integrated into the classroom. The product is a student-based solution that allows you to see immediate insights into your students’ understanding and to adapt the lesson as needed, keeping the educator as the centre of the solution and not the technology itself. To use the web-based platform, the teacher simply creates engaging questions pertaining to the in-class lesson, activates the questions, and gives the students a code to view and answer the questions on their own device at their own pace. There are currently four types of questions that can be created with Go Pollock: multiple choice, check-boxes, true or false, and free text answer. Teachers can see their students’ answers and progress in real-time, offering insights on students’ level of understanding that allow you to rethink and challenge your teaching. The goal is that the teacher doesn’t need to adapt to strictly using technology, but can easily integrate Go Pollock into their lesson plans to complement traditional teaching methods. The lightweight flexibility of the product gives you the ability to show and hide single questions at the right time during your lesson, unlike a time-boxed quiz. For the students, Go Pollock gives them a voice, offering immediate visibility and instant validation. This engagement allows the students’ voice to be the default and encourages them to learn the material. Go Pollock is also working to create technology that closes the gap of group and team dynamics. Upcoming innovations to the web-based solution will add more ways to validate answers in free text questions and introduce gamification to engage the class to work collaboratively. This looks like a good technological platform. I’ll explore it in more detail.